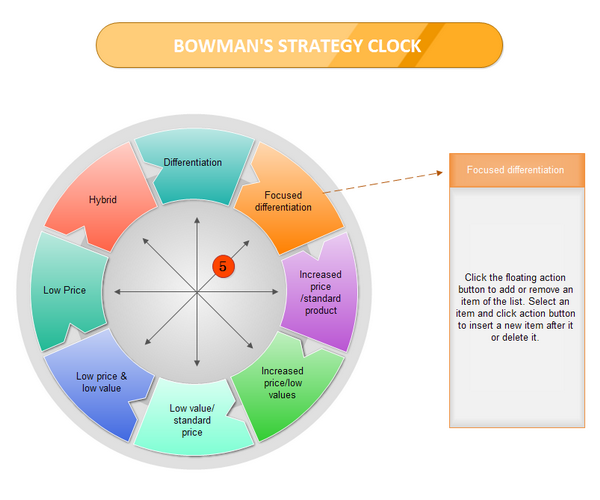 An example Bowman Strategy Clock help analyze the competitive position of a company in comparison to the offerings of competitors. 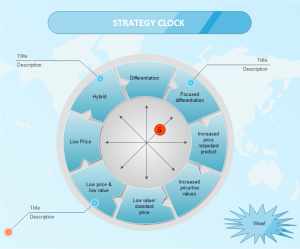 An example Bowman Strategy Clock is available to help you analyze the competitive position of a company in comparison to the offerings of competitors. Click here to free download Edraw Charting Software. Then the built-in templates are provided to you to create and present bowman strategy clock quickly. A strategy clock template speaks louder than words so it is put besides for you to use and speed up designs.